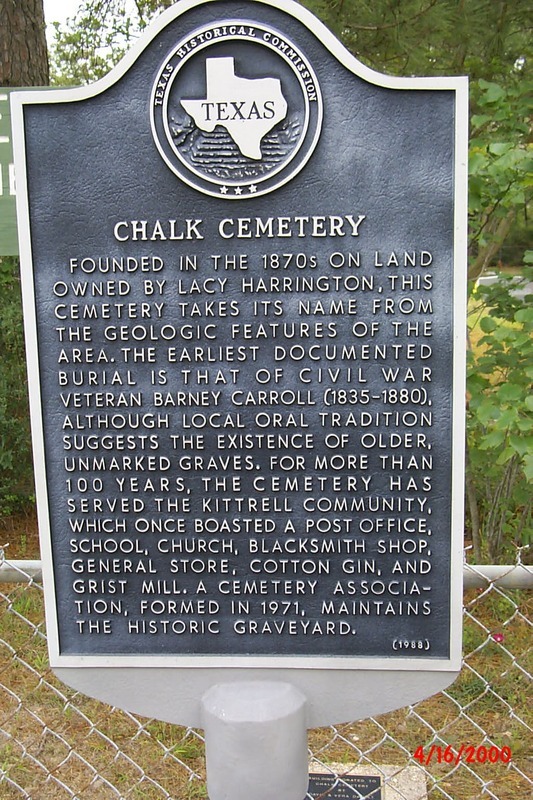 Founded in the 1870s on land owned by Lacy Harrington, this cemetery takes its name from the geologic features of the area. The earliest documented burial is that of Civil War veteran Barney Carroll (1835-1880), although local oral tradition suggests the existence of older, unmarked graves. For more than 100 years, the cemetery has served the Kittrell community, which once boasted a post office, school, church, blacksmith shop, general store, cotton gin, and grist mill. A cemetery association, formed in 1971, maintains the historic graveyard. N of FM 230, Chalk Cemetery Rd. 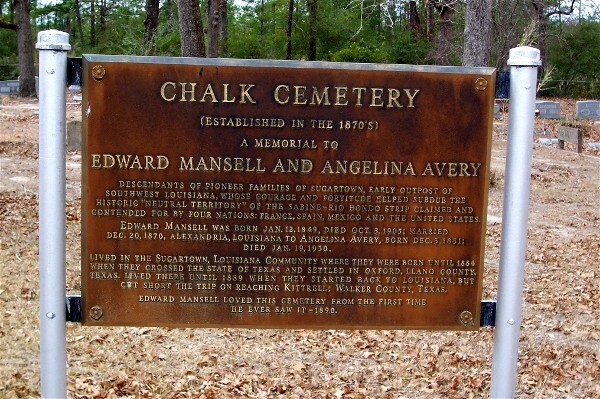 Texas Historical Marker, “Chalk Cemetery,” East Texas History, accessed April 21, 2019, https://easttexashistory.org/items/show/171.